Salt air, sun, and sea sounds like the perfect Summers day but it can also mean harsh treatment for oceanfront houses. 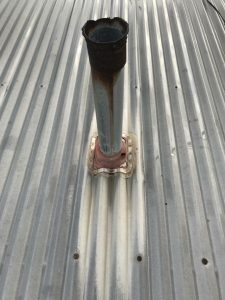 This cocktail of environmental conditions may cause roofing materials to rust out prematurely and potentially cause a major roof leak to your home. 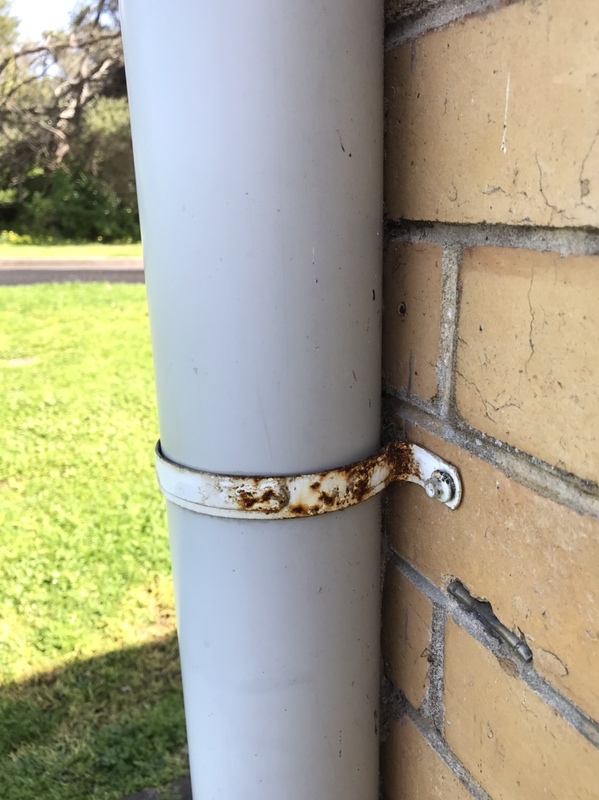 We have attended numerous jobs in Torquay, Barwon Heads and Clifton Springs lately with rust issues on the flues and metal brackets that hold gutters and downpipes. 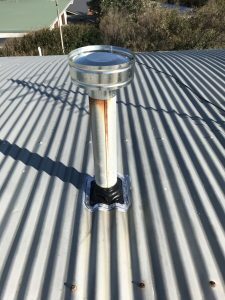 In the case below in the photo, the flue cowl had completely rusted off and was missing from the roof entirely. Being so close to the ocean, this rust issue is an all to common occurence with metal fixtures. If you live in a coastal area and have a metal roof on your house, it is important that your roof does not hold onto any water. This means ensuring the pitch on your roof is high enough for water to run off and not pool or hold any water. Water that pools on your roof will accelerate the rusting process and potentially lead to costly repairs sooner than you anticipated. 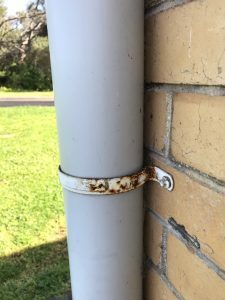 A great alternate to metal down pipes is to use PVC downpipes. These are commonly used in coastal areas and will not rust. PVC downpipes come in white and can be painted to suit the colour of your home.